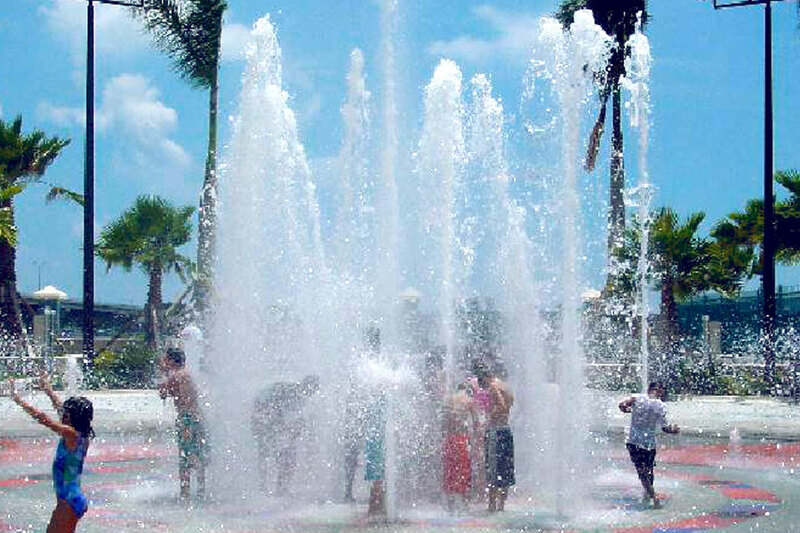 Royal Palm Pointe Park, in Vero Beach, FL, is home to a unique interactive fountain. 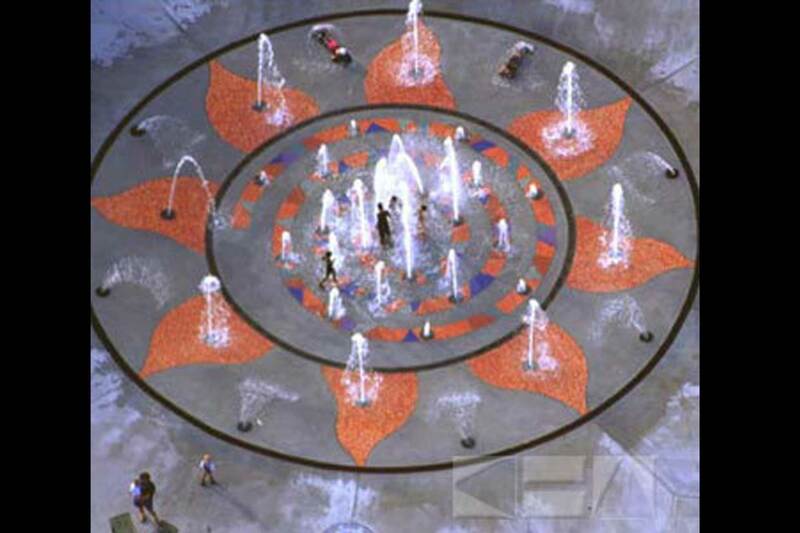 The fountain was designed around a central sun shape on the dry deck. 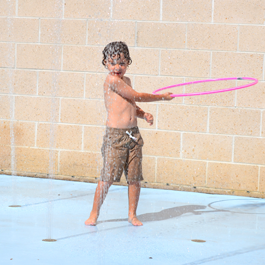 The water feature creates a safe environment for parents to bring their children that are too young to be unattended in the Florida tides. 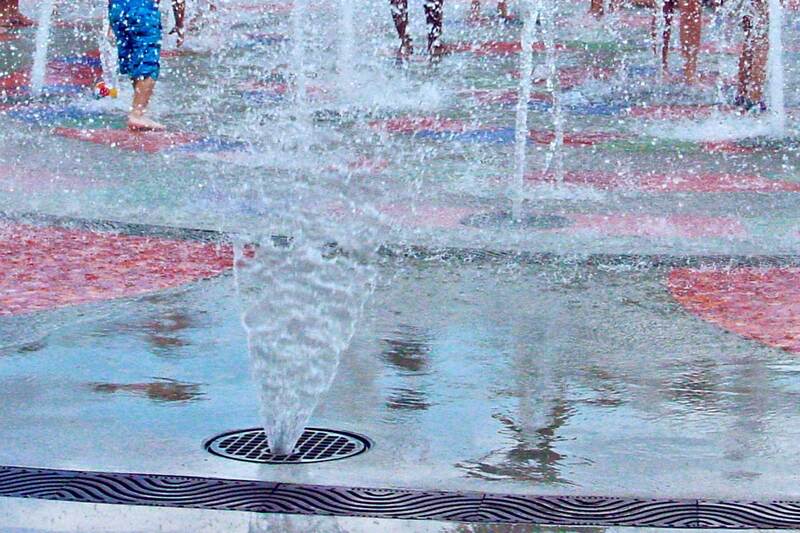 The interactive water feature has multiple spray display styles. 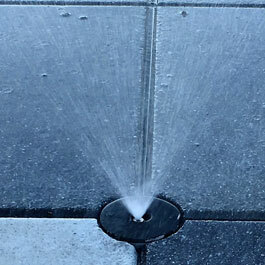 The one shown is a fan jet display. 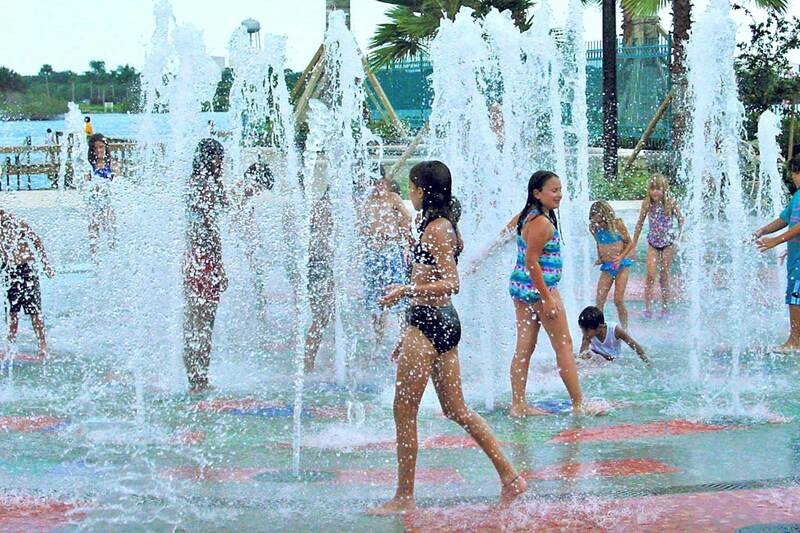 Royal Palm Pointe Park draws a daily crowd to its river views. 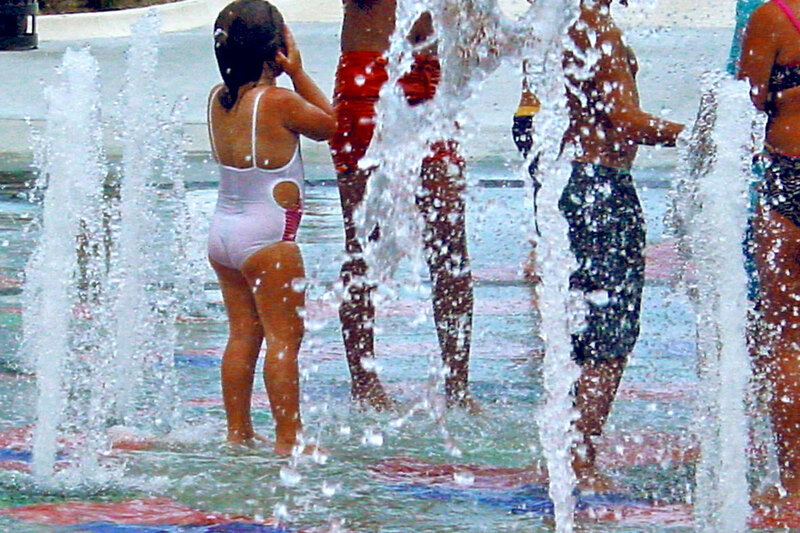 In addition to the interest of the waterfront, open space and greenery, the park features a large interactive fountain that has been cooling off visitors since it opened in 2001. 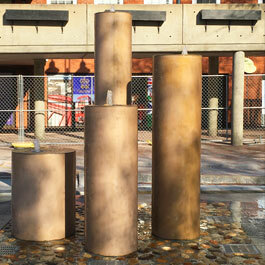 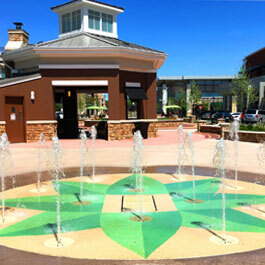 The fountain has a combination of spray displays, decorative grating and a colored-concrete deck.